Welcome to Jump Nation, the UK’s Largest Trampoline Park. 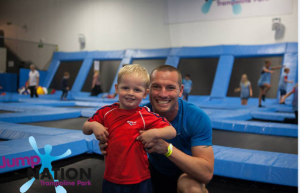 We offer children and young people unrivalled high flying fun. Jump Nation can be enjoyed by just about anyone, of any age, shape and physical ability. 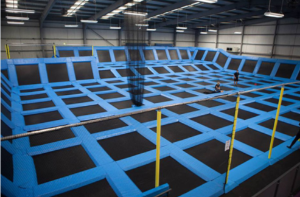 And we not only offer bounce sessions for all to enjoy, we also have rebounding fitness classes, an under 5's area and huge foam pit joined to the trampoline park where you can practice your tricks! For those not feeling adventurous, why not relax at Café Nation and sample our speciality coffees and homemade food whilst enjoying the fun from afar! 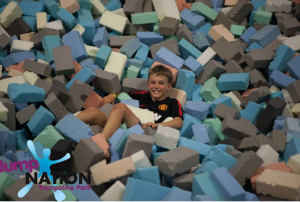 Monthly Autism Sessions: Jump Nation have recently launched Monthly sessions, solely for children and young people with Autism - click here for more information. Parents have to stay and siblings are welcome: These sessions are only for children with Autism and have a smaller number of children booked on the sessions. Costs: £8.95 and there’s free biscuits and drinks. "We really enjoyed the session and my son most importantly loved it - it was also his chance for his 2 sisters to come and enjoy an activity with him which they don't often get"
"We attended the autism session on Saturday morning and just wanted to say how truly wonderful it was! With the limited numbers and no loud music it allowed us to experience a really enjoyable activity together as a family, which we really do not get to do very often." "I Commend you for doing the session and hope that these can become a regular feature as we will definitely visit again"